Sharing another creation I made for the specialty shop that has commissioned my cards. This would make a great Retirement card or for someone who is passing this milestone in their career. I couldn't find a challenge to enter this card into...what's up with that?!? Penny Black: Sentiment (sorry, didn't jot down which stamp set)...oops! Awesome card, Penny! Where in the world do you buy mini handcuffs? 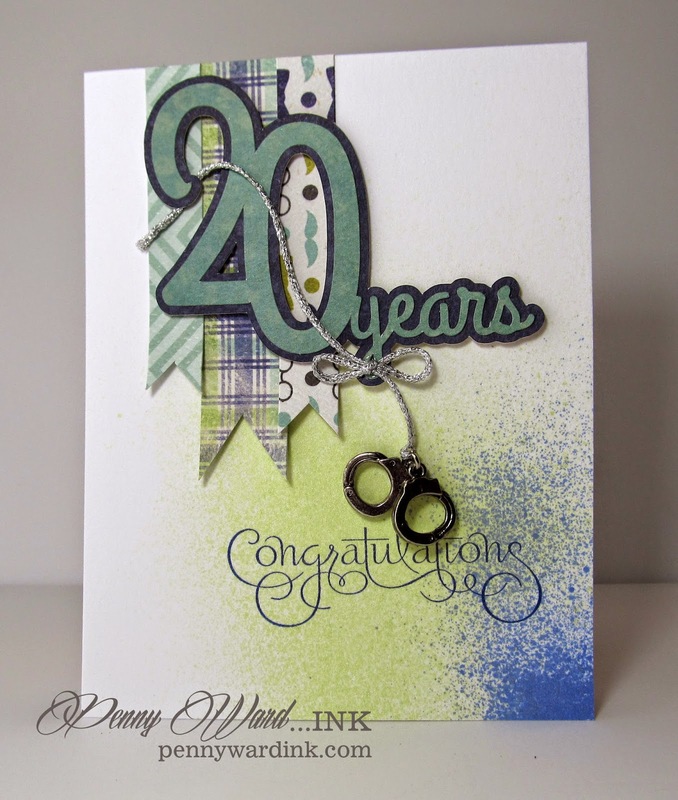 What a fantastic card - those mini handcuffs just add to the total awesomeness that IS this card!! Love the way you did the 20 years part - with the shadow, super cool! 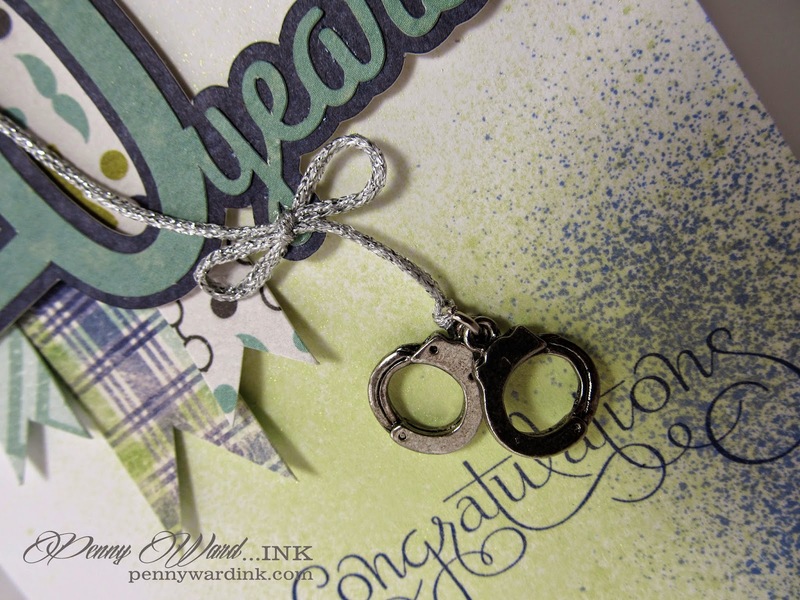 And those handcuffs - so epicly cool and so fitting for this card!! You are amazing! !